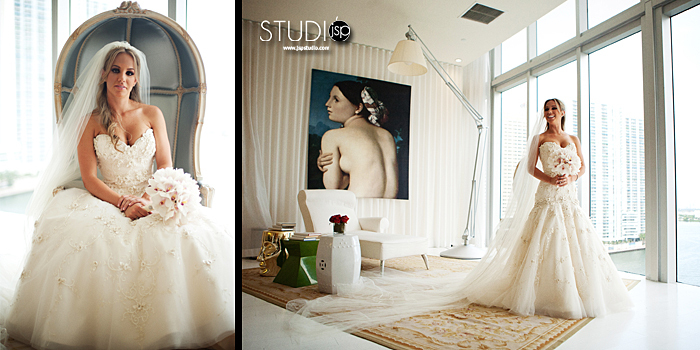 Michelle and Leo’s wedding day started out at the sophisticated Viceroy Hotel in downtown Miami. The bridal suite took on the life of a buzzing beauty salon as Gloria Pelo and her team crafted customized up-dos and makeup for the bridal party. Michelle looked stunning in a gorgeous white Lazaro gown, purchased from Chic Parisian Bridal, with an embellished floral bodice, while clutching a chic bouquet of pink and white orchids beautifully crafted by Nevot Flower Designs. Michelle’s fabulous footwear is a Gianmarco Lorenzi design purchased atDulce Shoes in Coral Gables. 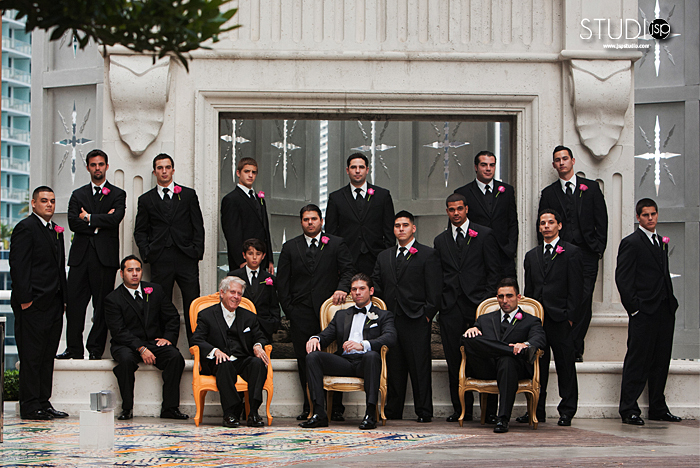 Leo rocked a Dolce & Gabbana black tux with a distinct white orchid boutonnière to match his bride. 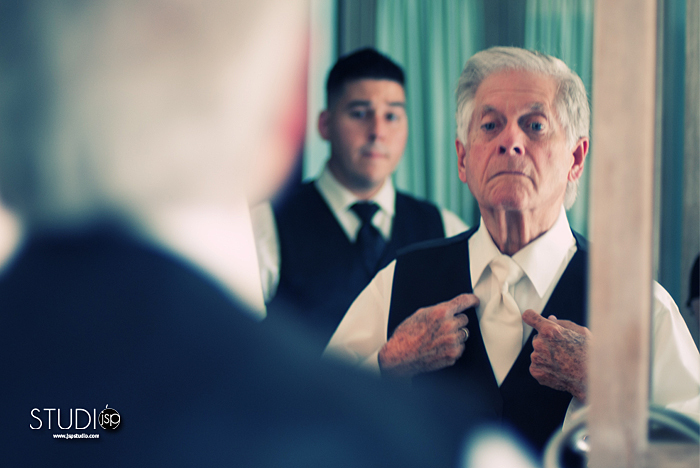 The groomsmen sported black tuxedos touched with pink rose boutonnières, while the bridesmaids wore long, black dresses adorned with a ruched sweetheart neckline and held deep pink rose bouquets. 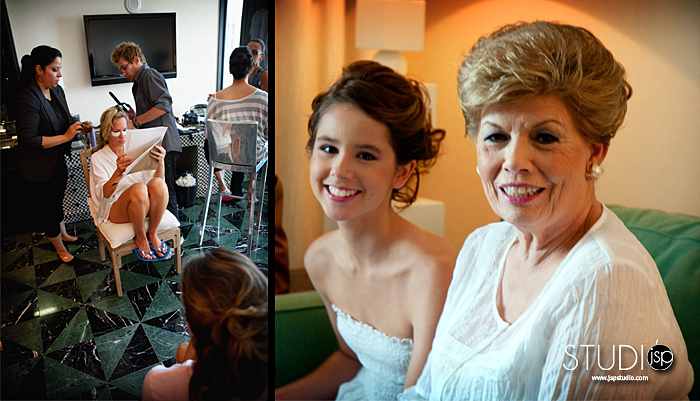 We were able to do some pre-ceremony shoots in The Viceroy’s palatial spa – The Spa at Viceroy Miami – thanks to the generosity of the spa manager. What a fantastic lady! I could have stayed there all day. 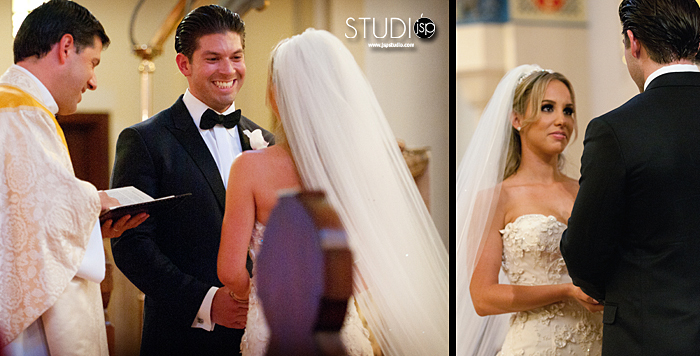 Michelle and Leo exchanged their vows before Pastor Padre Alberto Cutie at downtown Miami’s Trinity Episcopal Cathedral. Just two weeks prior to the wedding marked the couple’s 7-year anniversary. This is a classically beautiful church in the heart of downtown Miami. 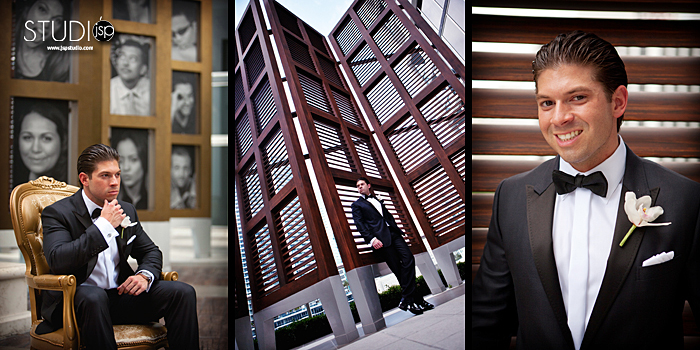 I always enjoy shooting there. After the ceremony I was able to get some cityscape shots of Michelle & Leo. The lighting was perfect. 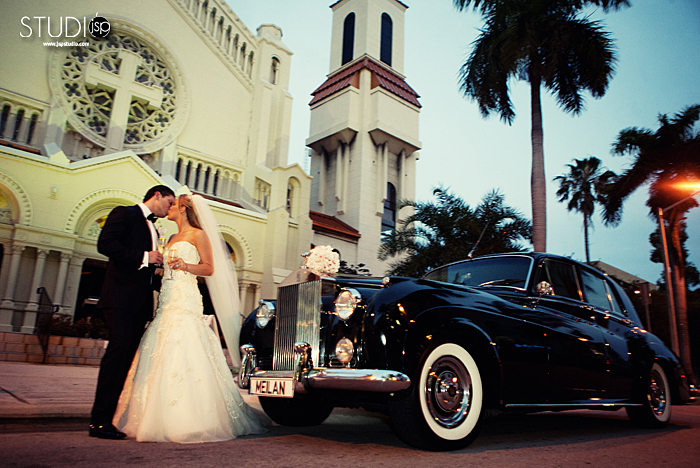 The church, the car, and of course the couple, made for some sweet compositions. A classic black Rolls Royce, provided by Mielan limo, served as their chariot from the ceremony to the reception. The reception was held at The Moore Building, a popular venue of Bridge House Events, in Miami’s Design District. Preceding it was an intimate cocktail hour in the adjoining Garden Lounge where guests mingled before the introduction of Mr. and Mrs. Gonzalez-Rubio. The first floor of the Moore Building was lit by pink, white and blue fluorescents and furnished with sofas and accent pieces, including pillows hand-made by Michelle’s grandmother. It combined a lounge-like vibe with upbeat lighting and music to resemble the glamorous Miami nightclubs. The second floor displayed royal guest tables dressed in black linens topped with romance through candlelight and roses. 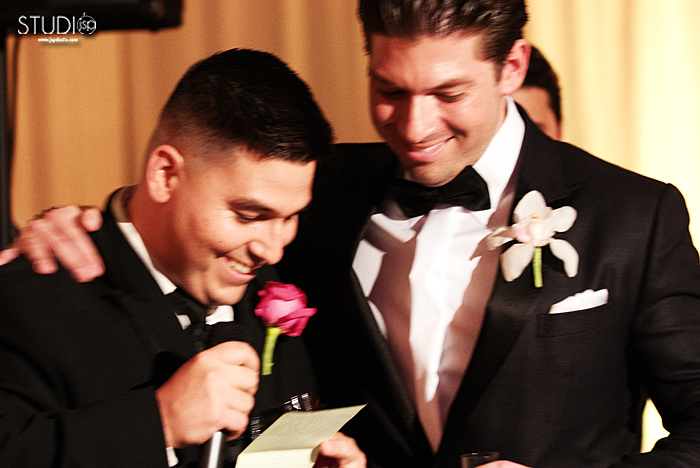 Family friend and event planner, Sari Sosa, coordinated the details of the wedding ensuring the life of Michelle and Leo’s vision. Michelle’s décor wishes were simple: Black linens and chairs with the only color coming from lighting and furniture accents. 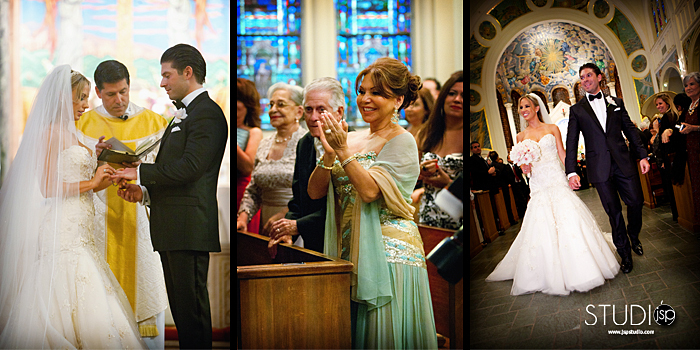 The color scheme was beautifully weaved into every detail of the wedding from attire and décor to lighting and floral. The wedding was decorated by Nevot Flower Designs, which provided custom arrangements of soft shaded hydrangeas, roses, and orchids to compliment the color palate of black with contrasting white and pink accents. Michelle and Leo honeymooned in Europe, visiting Barcelona before embarking on a romantic cruise to Florence, Rome, Paris, and Ibiza.